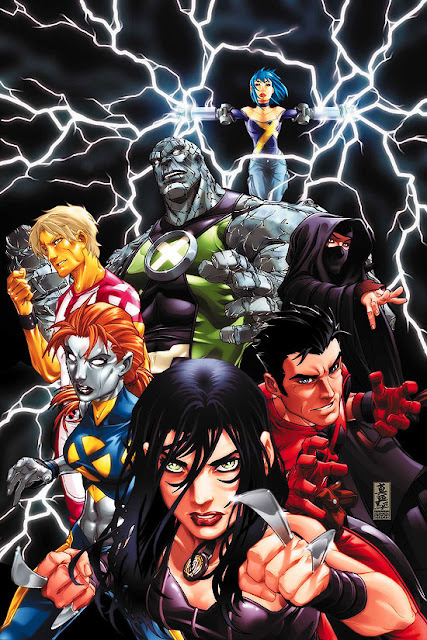 Following the destruction of the Xavier Institute at the hands of Xorn, all the X-Men teams returned and members were reshuffled into 3 teams. Cyclops' team learned of scientist Kavita Rao's claim to have created a cure for mutants, which was made possible by the extraterrestrial Ord, a Breakworld native who came to Earth to prevent a prophecy that an Earth mutant would destroy his planet. Ord originally wanted to declare war but made diplomatic arrangements with SWORD (Sentient Worlds Observation and Response Department), an intelligence agency charged with handling extraterrestrial matters. Ord stole Colossus' body, resurrecting him and experimenting on him. He discovered the cure for the Legacy Virus within Colossus's body and his findings resulted in Rao's cure. 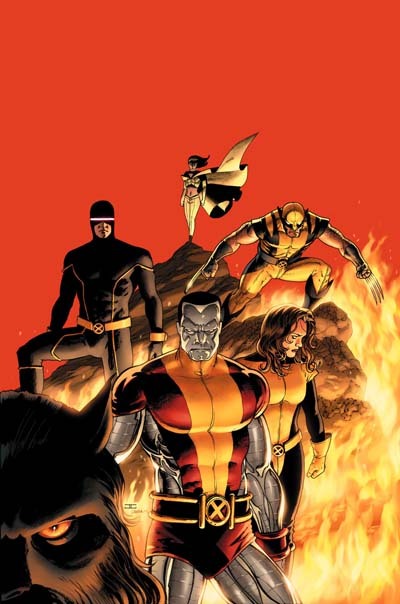 The X-Men investigated and found Colossus alive, defeating Ord, who was taken into custody by SWORD. The team then fought Danger, the sentient Danger Room consciousness that Xavier ignored years before. Danger manipulated the X-Men into freeing it from the mansion's confines, leaving to kill Xavier. The X-Men managed to stop Danger from killing Xavier but were horrified to learn that Xavier had held Danger captive for years. This caused a rift between Xavier and the team. Storm's team continued operating as the Xtreme Sanctions Executive. They fought the mass-murdering Fury simulacrum, crimelord Viper, Sebastian Shaw and the Hellfire Club and encountered X-23, the teenaged female clone of Wolverine. Psylocke returned, resurrected by her reality-manipulating brother, Jamie Braddock, then joined the team in an adventure in the Savage Land where they fought the saurian Hauk'ka. 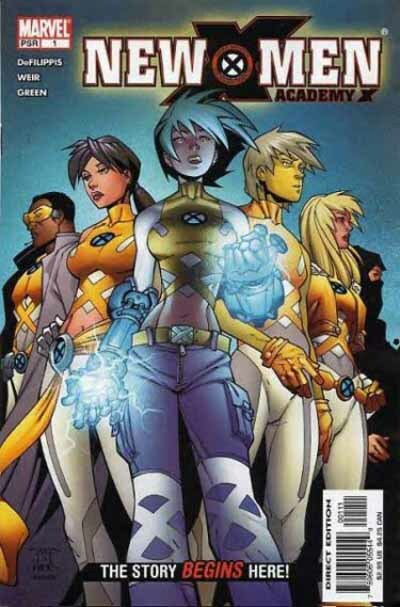 After M-Day (read below), Rachel Summers witnessed her extended family slaughtered by the Shi'ar Death Commandos under orders to terminate the Grey family line to prevent the Phoenix from returning in another Grey family member. 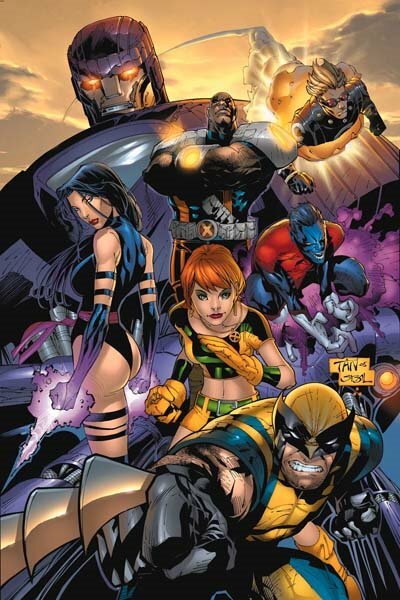 The team then fought the Death Commandos in a rematch before helping Psylocke and Jamie Braddock against the cosmic Fallen One. 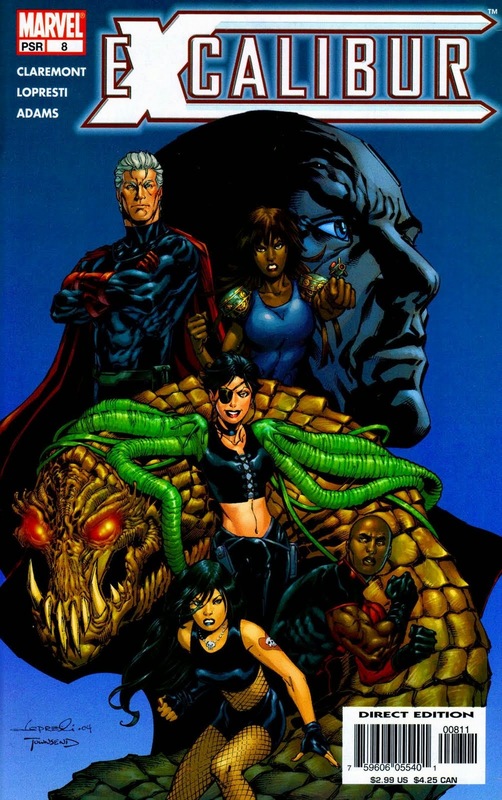 Havok's team traveled to China where they found Xorn's brother, Shen, who joined the team. The team fought the Brotherhood on mansion grounds and were defeated by Shen, who then left the team to contemplate his actions. The team then prevented an invasion of Earth by a swarm of psychic aliens called Golgothas. Rogue's foster mother Mystique infiltrated the mansion as a student Foxx, sowing dissension in the team before being discovered, then asking for X-Men membership. After a vote among all the X-Men, her membership was approved. The team next worked with Storm and her longtime friend, the Wakandan king Black Panther (T'Challa) to stop the horrific practices of Dr. Erich Paine, a former Genoshan geneticist, and his ally the Russian Red Ghost. Storm remained in Africa to safeguard mutants there, eventually married T'Challa to become Wakanda's queen. After M-Day, the team witnessed Polaris' lost of powers. Havok and Polaris left the team to help the latter cope her loss. Polaris was captured and along with former X-Men Gambit and Sunfire, were converted to Apocalypse's Horsemen. Polaris was liberated but Gambit and Sunfire departed before switching their allegiances to Mr. Sinister. 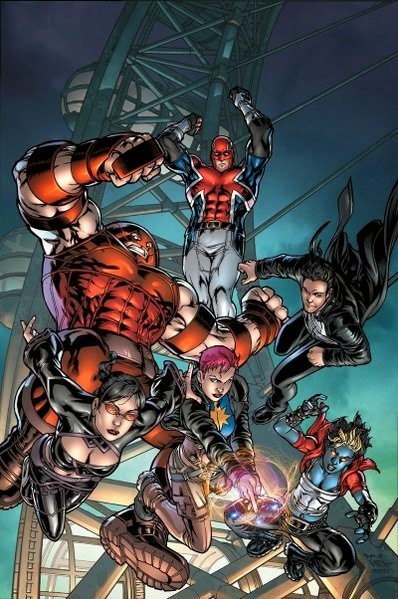 Some time later, the superhero team Avengers disbanded after its member Scarlet Witch suffered a mental breakdown and turned her reality-altering powers against them. Magneto took custody of her and tried to help her heal and recover. However, when the X-Men and the re-grouped Avengers met to discuss how to handle the immense threat posed the Witch, her brother Quicksilver feared for her life, pressuring her to alter reality, creating a world in which mutants were the dominant species and live openly without fear, with Magneto as the emperor. This became known as the House of M reality. Eventually, a group of heroes became aware of the reality alterations and fought Magneto's forces. When the Scarlet Witch restored reality, she stripped 90% of the mutant population of their powers. This event, known as M-Day, left only approximately 300 mutants on Earth, apparently stripping the X-gene from all other living or dead mutants, with no new mutant births occurring. 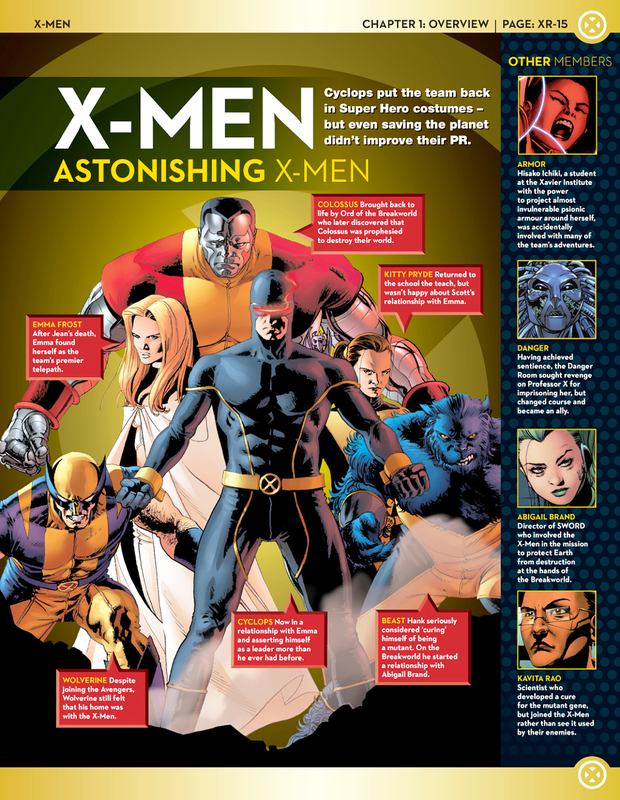 Hundreds of Xavier's students and many X-Men and associates, including Polaris, were depowered along with Xavier and Magneto. 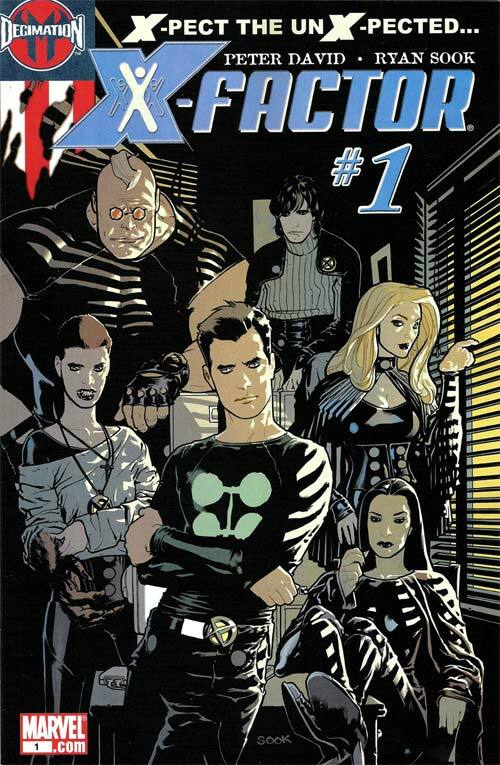 Following the House of M crossover, Jamie Madrox recruited more members into his X-Factor Investigations. For more, check out X-Factor Investigations. New X-Men: Academy X replaced New Mutants (vol. 2) as the student title. The title featured the students in student groups. 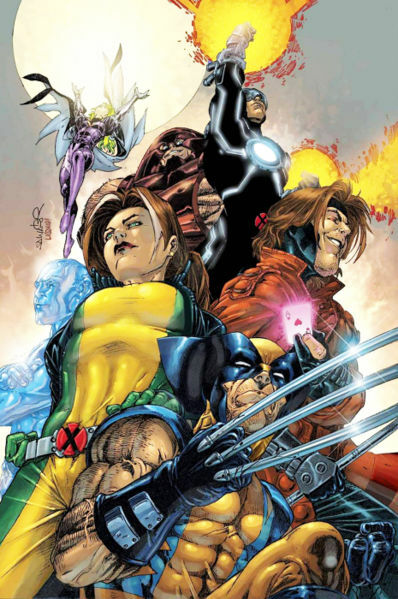 With #20 (2006), following the House of M crossover, the title was renamed New X-Men. 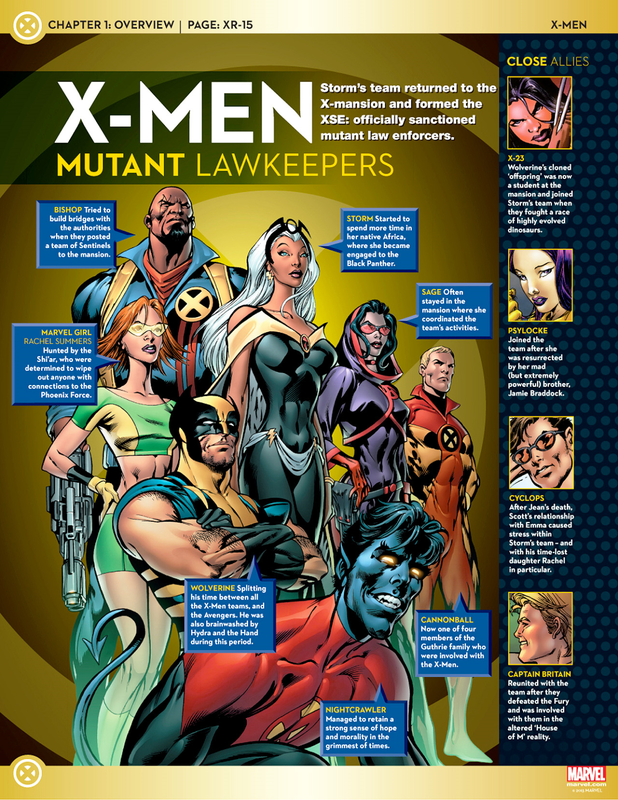 For more, check out the New X-Men: Academy X - Squads and New X-Men sections of Institute Student Body. This team was formed by Professor X and Magneto to rebuild the mutant nation of Genosha, which had been devastated by Sentinels sent by Cassandra Nova. Following M-Day and the subsequent depowering of mutants, Professor X and Magneto departed. The depowered mutants were offered the Inhuman's Terrigen Mist by Quicksilver. However, the Mists caused them to go out of control. After the effect wore off, they reverted back to human. This team was formed after M-Day and based in Britain. The team disbanded after a battle with Merlyn.